Israel’s Ministry of Foreign Affairs has posted an initial list of excavations in 2016. There are a couple of options if you’d prefer to avoid the hot temperatures and high airfares of the summer. 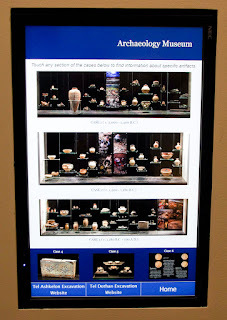 The Temple Mount Sifting Project provides an update on their crowd funding campaign. Even a small contribution would be appreciated. Omer Eshel takes a look at “The Hidden Gems of Israel” on The Land and the Book radio program with Charlie Dyer. If you’re an American non-tenured faculty member, you may qualify to apply for a $7,000 travel award to experience archaeology in Israel. The Book and the Spade remembers Adam Zertal with the re-broadcast of a 1993 interview (mp3). Available now via Luke Chandler: “King David’s City at Khirbet Qeiyafa: Results of the Second Radiocarbon Dating Project,” by Yosef Garfinkel, Katharina Streit, Saar Ganor, and Paula J. Reimer. 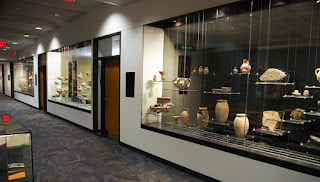 The samples date to ~1000 BC. 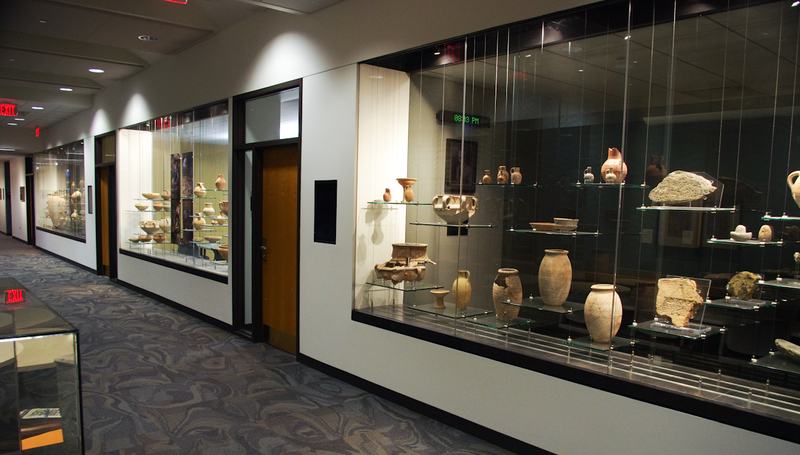 A Byzantine winepress was discovered on the Sharon Plain following a severe rainstorm. “You tithe mint, dill and cumin…but neglect…justice, mercy, and faithfulness.” Ferrell Jenkins explains and illustrates. Alexander Schick will be lecturing on November 4, 6:30 pm for the University of the Holy Land in Room 211 of the Rothberg Institute. The title: “Genius or Thief? Constantine Tischendorf turns two hundred - the life of the famous Bible hunter and the case of the Codex Sinaiticus in the light of newly discovered documents from his personal archives.” For more on this subject, see here. Many visitors to Israel have visited the Nahal Zin and hiked into Ein Avdat. 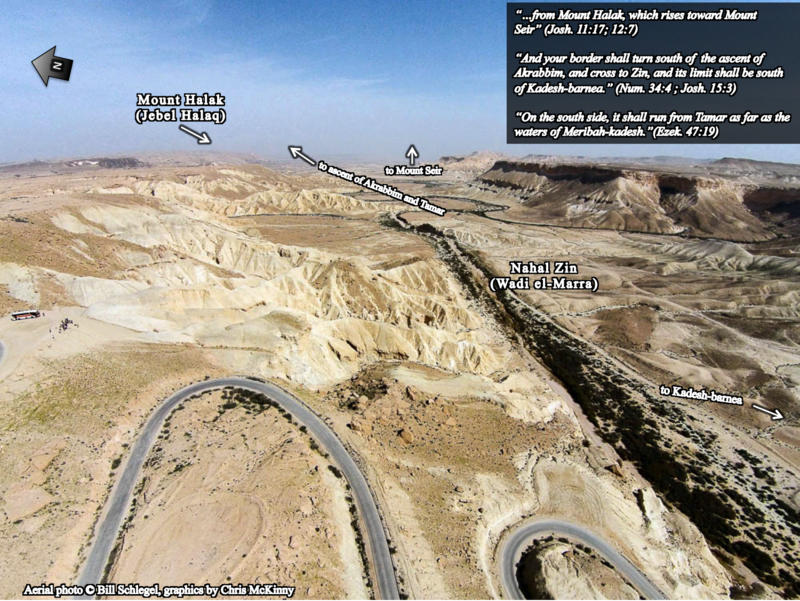 While witnessing the canyon's spectacular views and wildlife, visitors will probably be informed that Nahal Zin was the southern border of the promised land (and thereby Canaan and the tribe of Judah) based on a connection between the large, continuous canyon (Arabic - Wadi el-Marra) and the southern boundary descriptions in the Bible (Num. 34:4; Josh. 15:3). The identification of Wadi el-Marra with part of the Wilderness of Zin seems to be very plausible, even if the name "Nahal Zin" is a modern construction. 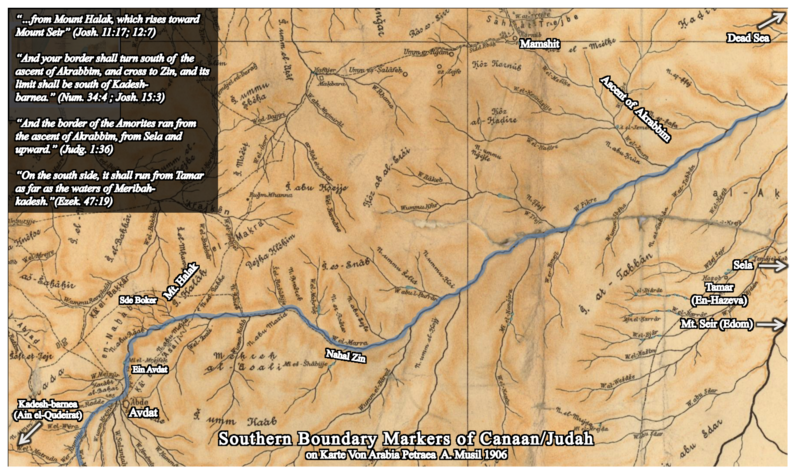 Essentially, the identification of Wadi el-Marra with the southern boundary is based on the following two pieces of evidence: 1.) 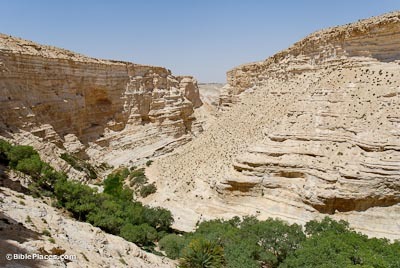 Wadi el-Marra is the only natural topographic boundary in the region and 2.) it is located between the Ascent of Akkrabim and Kadesh-barnea (Ein el-Qudeirat), which fits the biblical description. However, there is an additional piece of evidence that seems to make this identification even more secure - the location of Mount Halak at Jebel Halaq. 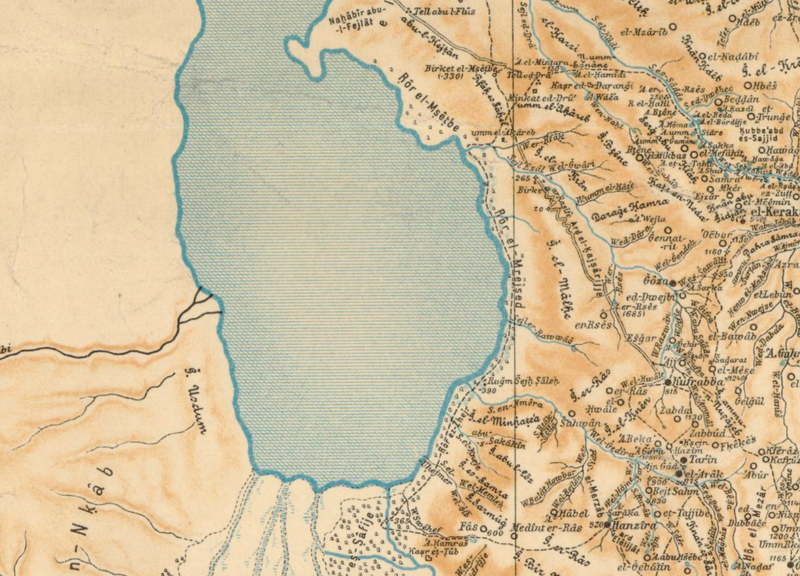 Update - see here for Musil's description of Jebel Halaq (German). This identification was made over a century ago by Alois Musil in his Karte Von Arabia Petraea who was told that the northern cliff face of Wadi el-Marra (i.e. Nahal Zin) was called Jebel Halaq by the local population. Since "jebel" means "mountain" in Arabic and the second part of the name is identical to the biblical place name, this identification was generally accepted. 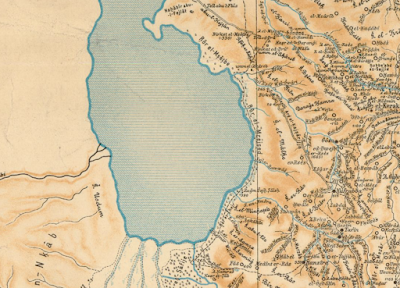 However, since the early cartographic projects did not cover the Negev Highlands (e.g., the Survey of Western Palestine, Van De Velde's Map) most are unaware of this connection and its implications for biblical geography. 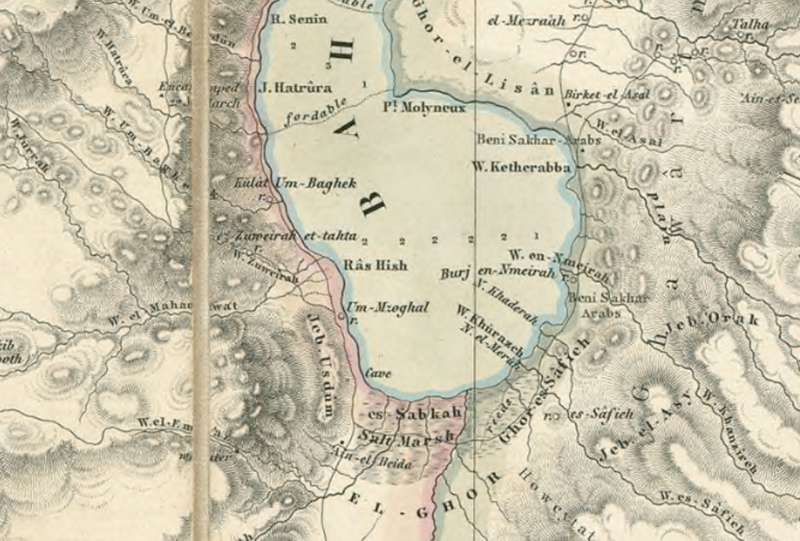 Mount Halak is mentioned twice in the book of Joshua, in both cases it is within a north-south boundary description describing the territory that Joshua conquered. 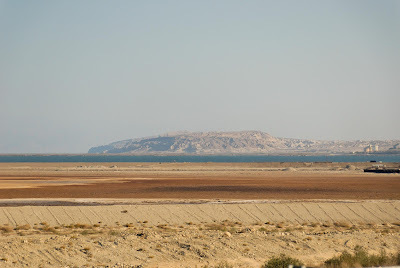 Jebel Halaq faces towards southern Jordan and the mountains of Edom (i.e. Mt. Seir), which matches the passages from Joshua. 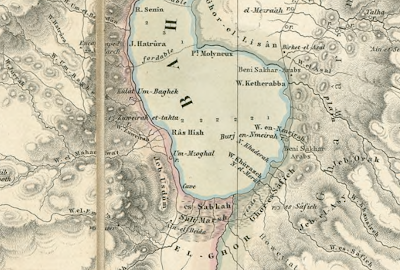 When we add Mount Halak (Jebel Halaq) to the accepted identifications of Tamar (En-Hazeva), the Ascent of Akkrabim (Roman road west of Tamar rising to Mamshit), and Kadesh-barnea (Ein el-Qudeirat), it is clear that the various boundary descriptions were describing the same border, which they demarcated using various topographical features (oases, mountains, and natural roads). 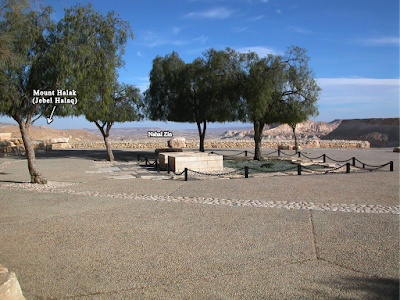 For those who visit the Nahal Zin/Ein Avdat, Mount Halak (Jebel Halaq) can be seen either on the bus ride down to the hike or at the Ben-Gurion tomb, which overlooks the Nahal Zin. Be sure to look that way next time you make it down there! A new study claims that an Egyptian text is the oldest known abecedary. Haaretz's report on Gabriel Barkay's Temple Mount sifting project include several pictures of findings. A UNESCO resolution that claimed the Western Wall prayer plaza as an Islamic shrine has made some people unhappy. German experts are restoring the golden mask of King Tut after its beard was broken off and clumsily repaired. The Journal of Near Eastern Archaeology reports that there are groups other than the Islamic State who are destroying and plundering antiquities in Syria. The Getty Villa in Los Angeles is exhibiting 1800’s era watercolor paintings of Greece, many offering insight into how ancient sites looked in the early 19th century. 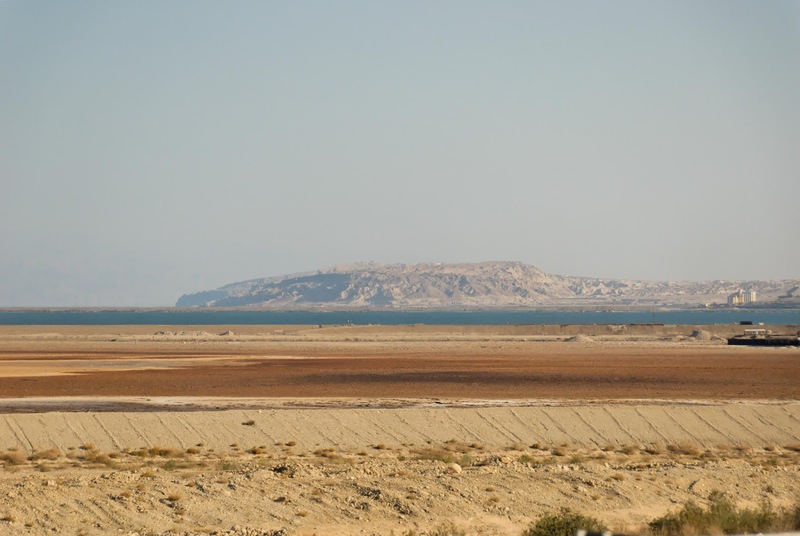 Emily Corrigan shares her experience of a summer on the Jezreel Expedition. Egyptian authorities are investigating the embezzlement of $20 million from construction funds for the Grand Egyptian Museum. Zahi Hawass throws cold water on the proposal that Nefertiti’s tomb has finally been located. Ferrell Jenkins shares a photo he took of a fishing boat on the Sea of Galilee as the sun was rising. The newly renovated Waldorf-Astoria in Jerusalem has been ranked the top hotel in the Middle East in a survey by Condé Nast Traveler. 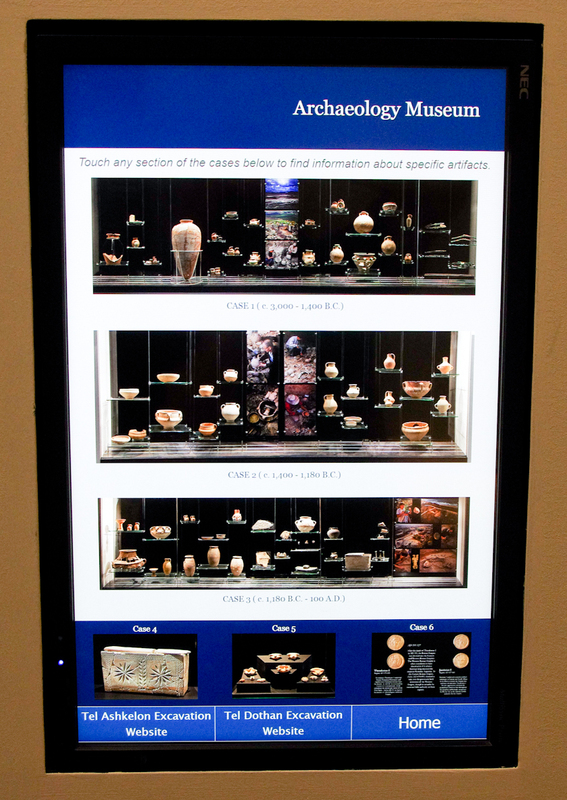 Test your knowledge about Petra with 10 questions at the ASOR Blog. Adam Zertal died on Sunday at the age of 79. He was best known for his survey of the hill country of Samaria and his identification of a structure on Mount Ebal as the altar of Joshua. Thomas Schaub died on Monday at the age of 82. Schaub excavated Bab edh-Dhra.